Vitamin B12 happens to be one of the most essential, yet neglected trace nutrients that our body requires. Because it plays an important part in the metabolism rate of the body, a deficiency of this nutrient for an extended amount of time can lead to long-term diseases and nerve conditions. It is crucial that one catches the first signs of B12 deficiency and treats it on time to prevent further health problems. Frequent bouts of vertigo and light-headedness can be warning signs of serious B12 deficiency. These situations can become especially messy outdoors as a person can trip and fall and injure themselves. If such things seem chronic, it is best to consult a doctor and receive treatment. Uncharacteristic forgetfulness like forgetting where you kept your keys, the name of an old friend etc might just be a deficiency of B12 and not the onset of early dementia. It has been seen that many senior citizens who think they have Alzheimer’s actually have chronic B12 deficiency. This can be diagnosed by a simple blood test and remedied by a B12 supplement regimen. If your grocery bags feel like a thousand pounds, it’s probably because of oxygen deprivation of muscle cells by the red blood corpuscles. Now this sluggishness can be a result of B12 deprivation. If you lost that “pinkish hue/rosy glow” (Phrase courtesy: George Costanza from Seinfeld) that is characteristic to healthy and vigorous people, and now have a yellow tint like the “little negress” from the Sherlock Holmes short story, the Adventure of the Yellow Face, it might be because of a B12 deficiency which causes the body to produce more and more bilirubin. 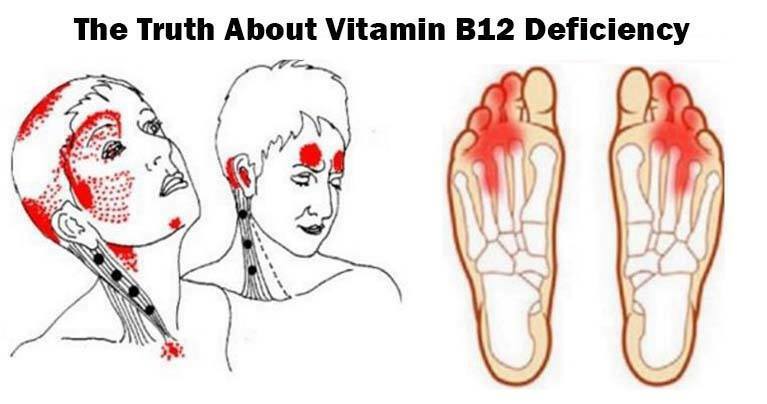 Insufficient amounts of B12 causes what is known as pins and needles or paraesthesia. This is because of the nerve damage caused by the deficiency. If you are still tired after sleeping for extended periods of time, it might be a sign of B12 deficiency. This is because the body is unable to produce enough erythrocytes than it does normally. Although rare, but chronic B12 deficiency causes optic neuropathy. Supplements can help restore proper vision. Prevents heart disease and stroke. Helps produce erythrocytes and prevent anaemia. Other smaller yet significant sources of this vitamin include: cereals, cheese, nutritional yeasts and plant based milks. As we can see this nutrient is not only a preventer of diseases but also something instrumental in recovering from nerve conditions. Hence, it is also very important to diagnose and remedy its deficiencies in time, so as not to aggravate the conditions to an irreversible degree.